Salisbury, North Carolina Real Estate: Home for Christmas! Now is your opportunity to live in the antique house of your dreams in the popular Brooklyn South Square Historic Neighborhood in Salisbury North Carolina! You can be home for Christmas!! Click HERE to learn more about this gracious circa 1895 Victorian home-for-sale with gleaming floors, meticulous landscaping, many original features, and oodles of space!!! When you live in this beautifully preserved piece of history, you will be within walking distance to many of Salisbury's downtown amenities, and just a block from the Salisbury-Rowan Farmers' Market! Walk to dinner at Chef Santos, and after dinner stroll around the corner to catch the latest play at the Meroney Theatre, stop next door afterwards and have a glass of wine whilst listening to live blue-grass or jazz at The Blue Vine wine shop, stroll home by the light of the moon & stop to watch a train go by into the night on the railway bridge . . . because you'll live close enough to do all of this and more! Enjoy your mint julep on the wrap~around veranda, pick a bouquet of roses for every room in the house from your spectacular hedgerow of easily maintained (and practically ever~blooming!) 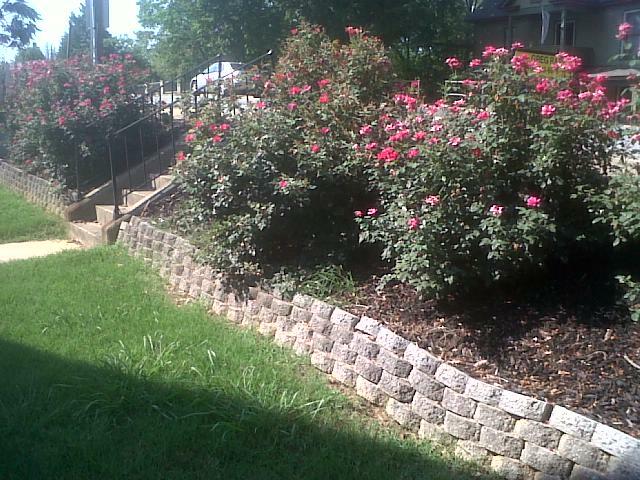 Knock-Out Roses at the front bank, or cool off on a warm summer day with the breezes blowing through your side porch looking out upon your tucked-away brick patio. 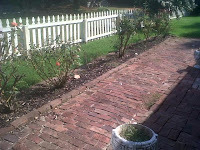 Grow your own vegetables and herbs in your deep, gated back lawn. Cook up a gourmet supper in your granite counter-topped kitchen. Curl up with a book and hot chocolate in winter in your sunroom looking out to the side gardens. What better Christmas present for your family than this antique home that will give back for years to come! Want to see this gorgeous specimen for yourself? Call Greg Rapp at 704.213.6846 ~ he will walk you through every step of the purchase process so that you can relax in no time flat in your beautiful 1895 Victorian Home. . . . let Greg put YOU & your family in the the perfect Christmas card! Circa 1895 Victorian Home for Sale ~ $200,000 ~ the Perfect Christmas Gift! Happy Holidays from Greg Rapp ~ !!! All Roads Lead to Salisbury NC!